University at Buffalo, Department of Anesthesiology, Critical Care, and Pain Medicine, Buffalo, NY, USA. The anterior medial mass patient continues to offer great challenges for the anesthesiologist. 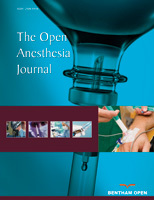 As such, newer and safer methods of providing anesthetic care are continually being sought. To this end, there is a growing body of evidence that may suggest that higher than Food and Drug Administration approved dosages of dexmedetomidine may offer another option in the arsenal of the anesthesiologist in this patient population. We recently cared for a middle aged male who presented with a large mediastinal mass, extrinsic compression critical tracheal stenosis, superior vena cava syndrome, and massive supraclavicular lymphadenopathy, scheduled for tracheal stent placement, biopsy, and diagnostic evaluation of the esophagus. After reviewing anesthetic options, we deemed the safest technique available to us to be the use of a high dose dexmedetomidine based technique with continuous infusion rate of 2mcg/kg/hr. Spontaneous respirations were maintained throughout the case, with a stable heart rate and blood pressure, and our patient tolerated the procedure without complications.